Okay, it’s that time of year. For much of the U.S., the heating season began about a month and a half ago. Here in North Carolina, and more specifically my household, the heating season has only been around for about three weeks. Now don’t get me wrong, it’s been cold enough at night to run the heat, but during the day we find ourselves turning the AC back on – a common thing in the Southeast. When the heat pump goes into defrost mode, or the HVAC unit is switched from heating for a brief time, then back to cooling, a condition known as “Dirty Sock Syndrome” can arise. DSS is described as a musty, moldy, dirty sock odor coming from HVAC systems when they first start into cooling mode. DSS is caused by bacteria that attaches to, and grows on indoor evaporator coils. When the coils cool down and get damp, the bacteria release their gases all at one time into the air causing the unpleasant odor. Some people have gone as far as to almost sell their homes because they couldn’t get rid of the smell. BUT HAVE NO FEAR! Here is a way for you to eliminate that smell and maintain a clean, healthy environment through a little preventive maintenance. Clean the coils at the end of the cooling season with Instant Powder Kegs. Cleaning the coils before the heating season will get rid of any contaminants such as dirt, biological buildup and other material. Sanitize the unit thoroughly. Use EPA-registered Fast Attack, an HVAC system sanitizer specifically designed for HVAC interiors. Iodine based sanitizers are an ideal choice, as iodine’s effectiveness has been well documented. Hospitals have used iodine to sanitize before surgery for the last 150 years for a reason! Protect the coil from fouling by using Green-Certified First Strike Micro Coat. Transform the coil into a “self-cleaning” coil, one that repels particles and keeps matter from adhering to the surface. Round off the procedure by adding a timed-release drain pan protectant. This will eliminate clogs and overflows that can occur once the cooling season starts back. Either Green-Certified PanGuard or EPA-Registered Algae Guard will work. 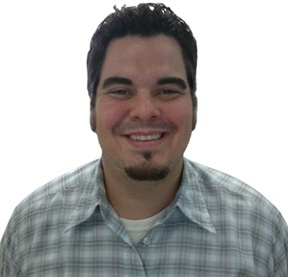 James Brown, Application Specialist of Controlled Release Technologies, Inc., a research, development and manufacturing firm based in Shelby, North Carolina. CRT is an IFMA CSP, EnergyStar Partner and manufacturer of independently-certified Green products for HVAC maintenance. Since 1986, CRT has been creating leading edge HVAC maintenance products that have become industry standards, used in thousands of commercial buildings world-wide. CRT employees are members of BOMA, ASHRAE, ASHE and the American Chemical Society. www.cleanac.com (800) 766-9057. Practically all items inside of buildings contribute to indoor air quality. Everything from carpeting to office equipment release gases and particles known as volatile organic compounds (VOCs). However, the most referenced cause of indoor air quality concerns by tenant and workforce populations is the HVAC system. These concerns are a result of the strength and frequency of undesirable odors being disseminated by HVAC systems. Contaminated outside air, bacteria and mold are thought to contribute to many health issues. Unfortunately this is quite common, as the interior of HVAC systems provide the perfect growth environment for spores to become active. Along with providing a dark, temperature-controlled area, HVAC systems remove moisture from the atmosphere providing mold spores with water, and remove dirt and debris providing mold spores with food. Controlled Release Technologies, Inc. (CRT) has developed the following solutions to help buildings maintain positive indoor air quality, and avoid odor problems originating in the HVAC system. By using these products, air handler units can remain clean and sanitized. Additionally, the time between cleanings and the life of the unit itself can be increased, and the chance of poor indoor air quality can be dramatically decreased. The Dirty Sox Kit is an annual, three-step application process developed by CRT that rids HVAC air handler units of odors by cleaning, sanitizing and protecting the evaporator coil. It is generally applied in the fall or winter months, and in systems where Dirty Sock Syndrome is thought to be present. Dirty Sock Syndrome is a term coined by industry experts to describe unidentifiable odors which building occupants equate to the smell of dirty laundry or a gym locker room. Dirty Sock Syndrome is believed to be a result of bacterial growth on HVAC evaporator coils. The problem is generally limited to heat pump systems, but may be noticed in other system interiors. Dirty Sock Syndrome is prevalent in buildings located in hot, humid climates, where there is a constant supply of moist air exasperating the problem. Because a microbial can grow quite rapidly, the emission of odors increases over time. Apply Instant Powder Kegs coil cleaner to clean the evaporator coil of deposit buildup. Instant Powder Kegs is a concentrated cleaning powder, that is mixed with water at the job site, saving users expensive and unnecessary shipping charges. Instant Powder Kegs removes dirt and odor-producing build up that hinder the efficiency of HVAC systems. Apply Fast Attack to sanitize the coil, and remove any odor-causing algae, fungus, bacteria or mold. Fast Attack is an EPA-registered, concentrated antimicrobial that cleans as it sanitizes. Iodine was chosen as the active ingredient, as its effectiveness is well known and widely used in hospitals and laboratories. Apply First Strike Micro Coat to the coil surface to protect against future buildup of dirt and contamination. First Strike Micro Coat provides a clear molecular barrier (less than one micron), that does not inhibit heat transferability. Because First Strike Micro Coat has been extensively evaluated, it performs without maintenance attention for a year or more. This decreases redundant labor costs and coil cleanings, and keeps coils performing at optimal energy usage. Controlled Release Technologies, Inc.,is a research, development and manufacturing firm based in Shelby, North Carolina. CRT is an EnergyStar Partner and manufacturer of independently-certified Green products for HVAC maintenance. Since 1986, CRT has been creating leading edge HVAC maintenance products that have become industry standards, used in thousands of commercial buildings world-wide. CRT employees are members of BOMA, ASHRAE, ASHE and the American Chemical Society. www.cleanac.com (800) 766-9057. Practically all items inside of buildings contribute to indoor air quality. Everything from carpeting to office equipment release gases and particles known as volatile organic compounds (VOCs). However, the most referenced cause of indoor air quality concerns by tenant and workforce populations is the HVAC system. These concerns are a result of the strength and frequency of undesirable odors being disseminated by HVAC systems. Contaminated outside air, bacteria and mold are thought to contribute to many health issues. Unfortunately this is quite common, as the interior of HVAC systems provide the perfect growth environment for spores to become active. Along with providing a dark, temperature-controlled area, HVAC systems remove moisture from the atmosphere providing mold spores with water, and remove dirt and debris providing mold spores with food. At CRT, we developed the following solution to help buildings maintain positive indoor air quality, and avoid odor problems originating in the HVAC system. By using these products, air handler units can remain clean and disinfected. Additionally, the time between cleanings and the life of the unit itself can be increased, and the chance of poor indoor air quality can be dramatically decreased. The CleanAC Kit is an annual, four-step application process that rids HVAC air handler units of buildup and accumulation by cleaning, sanitizing and protecting both the evaporator coil and condensate pan. It is generally applied in the spring or summer months when condensate pans accumulate moisture, and in systems requiring a thorough cleaning. The first step is to apply Instant Powder Kegs coil cleaner to clean the evaporator coil of deposit buildup. Instant Powder Kegs is a concentrated cleaning powder, that is mixed with water at the job site, saving users expensive and unnecessary shipping charges. Instant Powder Kegs removes dirt and odor-producing build up that hinder the efficiency of HVAC systems. The second step is to apply Fast Attack to sanitize the coil, and remove any odor-causing algae, fungus, bacteria or mold. Fast Attack is an EPA-registered, concentrated antimicrobial that cleans as it sanitizes. Iodine was chosen as the active ingredient, as its effectiveness is well known and widely used in hospitals and laboratories. The third step is to apply First Strike Micro Coat to the coil surface to protect against future buildup of dirt and contamination. First Strike Micro Coat provides a clear molecular barrier (less than one micron), that does not inhibit heat transferability. Because First Strike Micro Coat has been extensively evaluated, it performs without maintenance attention for a year or more. This decreases redundant labor costs and coil cleanings, and keeps coils performing at optimal energy usage. The fourth step is to place a PanGuard timed-release strip in the HVAC condensate drip pan. PanGuard is a blending of wetting agents and dispersants that eliminates clogs and overflows due to deposit accumulation. By protecting the unit using a timed-release product, it will continue to work even after staff have completed maintenance, for up to six months. This in turn, protects against costly water damages that can occur. The CleanAC Kit is available in three different sizes for both residential and industrial needs. These sizes are 3-5 tons, 10-15 tons and 20-25 tons. By using this kit annually, one can be assured that HVAC air handlers remains clean and protected year round. If you have an experience you would like to share, or want to talk more about this blog, please leave your comments below. 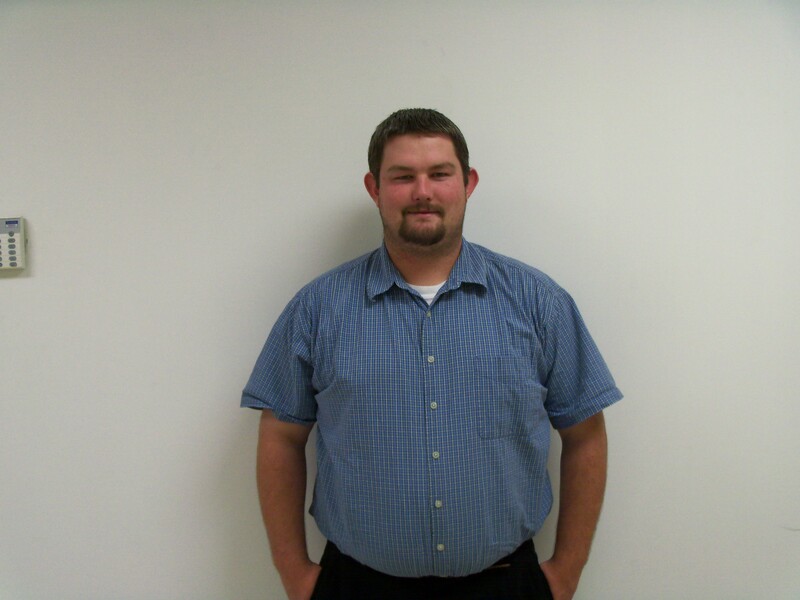 Jonathan Dunagin, Marketing Director of Controlled Release Technologies, Inc. located in Shelby, North Carolina. More information about the company, and its products, can be found at http://www.cleanac.com and by calling (800) 766-9057.